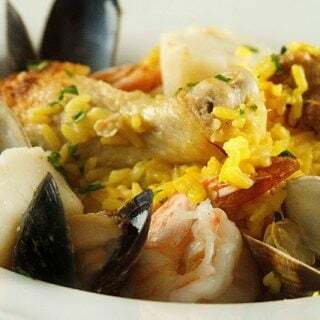 This is easy to make seafood stew recipe is the perfect date night. 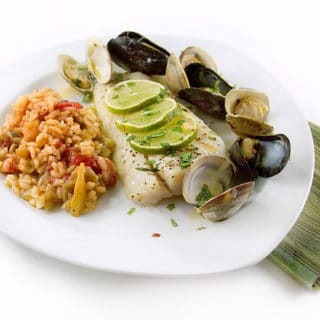 Loaded with fresh seafood and vegetables this restaurant style dish will turn a weeknight into a special occasion. 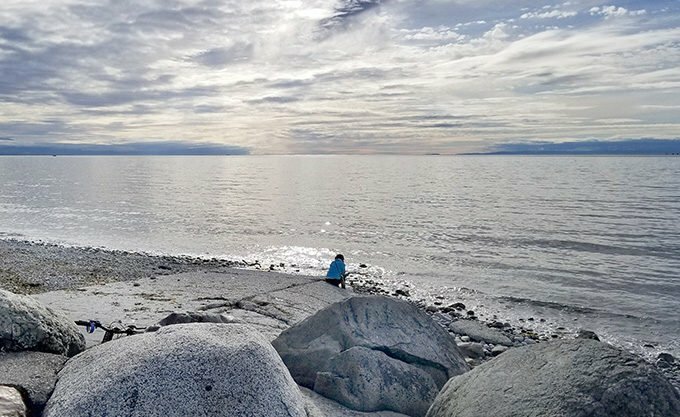 I was completely in awe of the landscape on my first trip to Washington State and Whidbey Island proved to be the perfect choice for a delicious getaway. The people on the island were friendly, the scenery breathtaking and the food was ah-mazingly delicious. What more could anyone ask for? It was paradise. 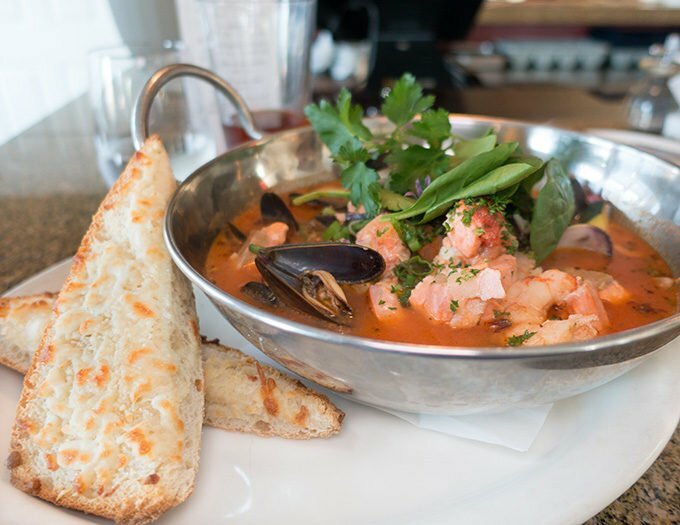 On our first night on Whidbey Island, we luckily stumbled upon Christophers on Whidbey where I got to enjoy a Pacific Northwest Classic, Penn Cove Seafood Stew. This bowl of deliciousness was chock full of local seafood and fresh local vegetables. After dinner, I had the opportunity to talk with the chef I convinced him to share his recipe for this delicious dish. 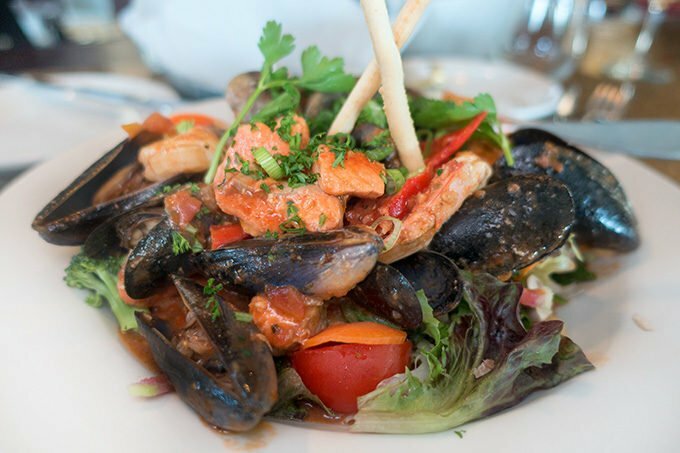 Lisa’s dinner was every bit as delicious as she enjoyed another signature dish from Christophers, a warm seafood salad. She devoured this flavorful combination of local seafood and greens. 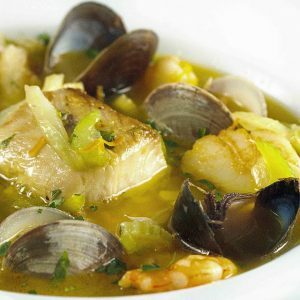 If you love seafood as much as I do, make sure to check out my recipes for Bouillabaisse and my Baltimore Clam Bake. Whidbey is about 30 miles (48 km) north of Seattle and lies between the Olympic Peninsula and the I-5 corridor of western Washington. The island forms the northern boundary of Puget Sound. It is home to Naval Air Station Whidbey Island. Which is why the only people that had ever heard of Whidbey Island were my ex-military friends. But don’t let that stop you from visiting Whidbey and its next-door neighbor Camano Islands. How do I get to Whidbey Island? The easiest way to reach Whidbey Island is to fly into Seattle Tacoma Airport, commonly referred to as SeaTac. From there it’s an easy drive (under 2 hours) to Whidbey Island via I-5 N or I-405N. You can also take the SeaTac Airport shuttle and just sit back and relax. I rented a car at the airport and dropped it off across from my hotel and used the shuttle for my early morning flight home. It worked out really well and the shuttle picks you up right at the hotel. They have designated stops along the way to the airport. You can find rental cars at the airport and also find an Enterprise Rental car at Oak Harbor across from the Coachmen Inn, which is where I stayed on Whidbey Island. It’s the perfect location on the island with easy access to all towns and attractions. 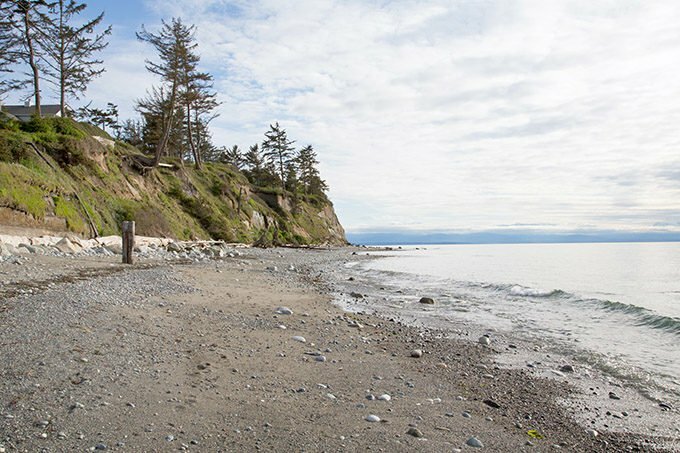 What Can I do on Whidbey Island? Take a Hike or Ride a Bike on the beach, though the trails in the forests along the sound or where ever life takes you. Deception Pass State Park offers clifftop views, forest trails and freshwater lakes. To the south, Fort Casey Historical State Park is home to a lighthouse and gun battery. 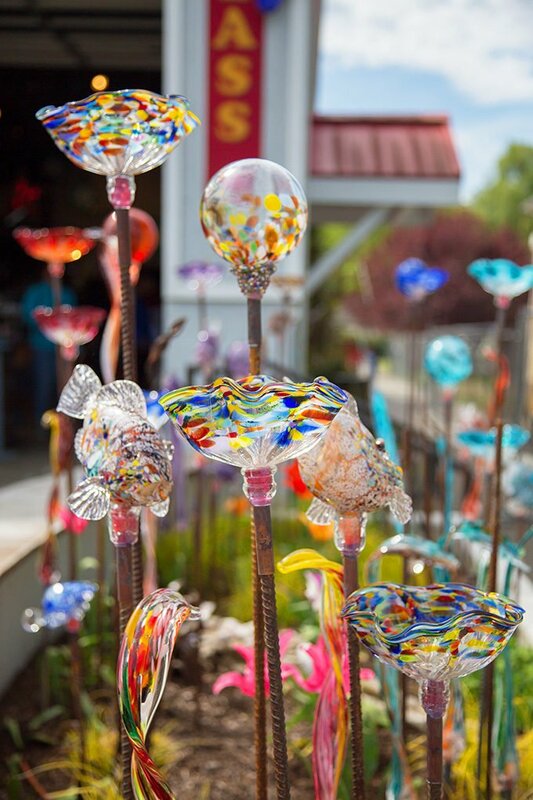 The coastal towns of Oak Harbor, Coupeville and Langley have boutiques, cafes and galleries. Go Fishing, Crabbing, or Shellfishing. Or if you’d rather have someone do the work for you, stop by one of the local seafood stores for fresh off the boat local seafood. 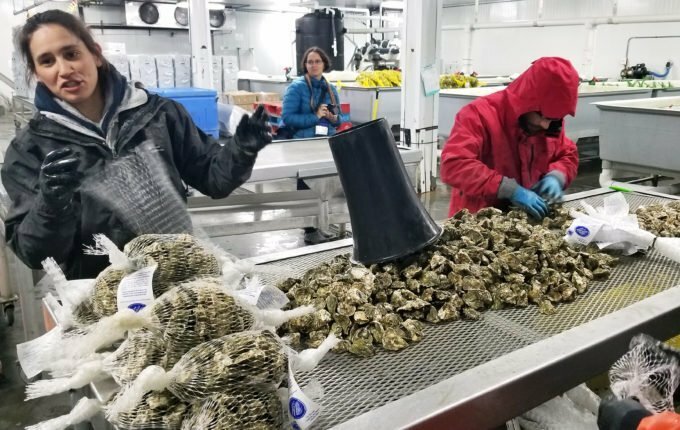 We had a tour of Penn Cove Shellfish the leading supplier of mussels, clams and oysters in the area. Go Wine Tasting (or beer, spirits, and liqueur tasting), there are seven wineries, three distilleries and two breweries for you to choose from. 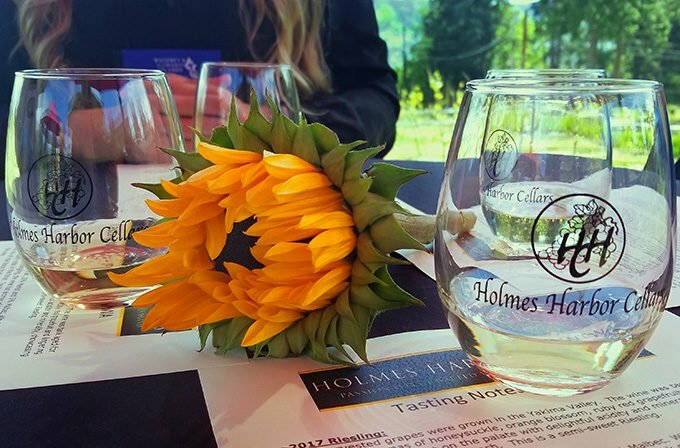 We had a delicious afternoon sampling wines at Holmes Harbor Cellars. And local the local brews were too good! 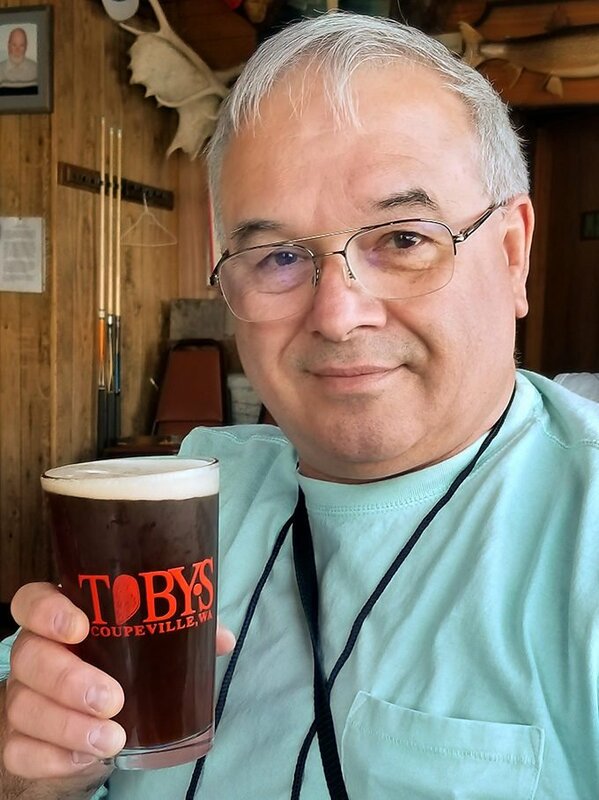 Here I sampled a Toby’s Parrot Red Ale at Toby’s Tavern in Coupeville. Enjoy Viewing Some Art, Or Make Your Own. Callahan’s Firehouse in Langley has some amazing hand-blown glassware and decorations. Boating, Kayaking, Windsurfing, Kite-boarding, Skim-boarding, Surfing and Swimming are always options. 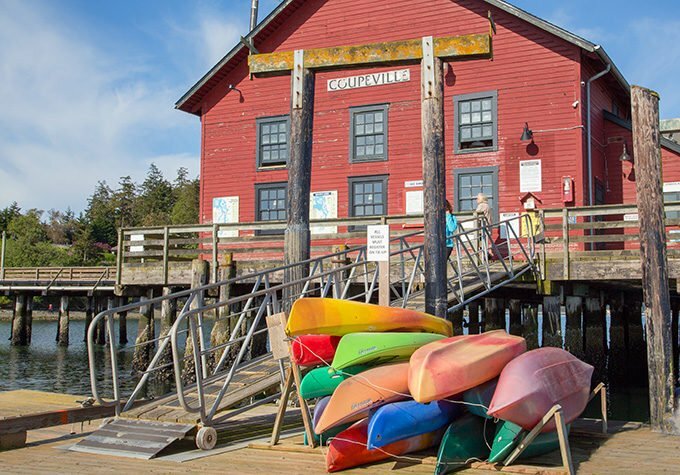 These Kayaks are in front of one of my favorite spots on the island Couple Historic Wharf. 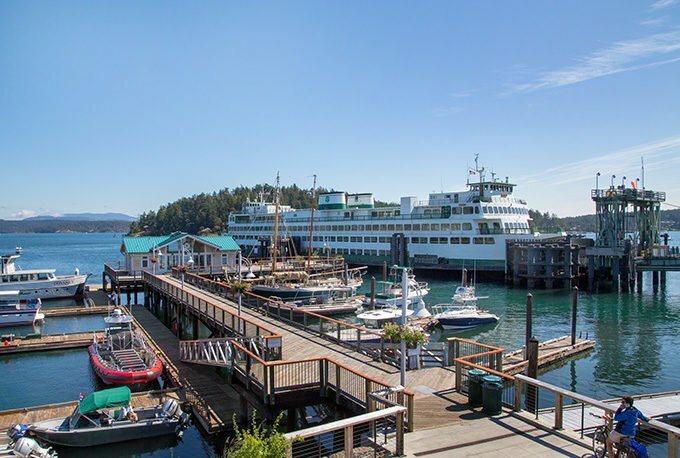 Take the Washington State Ferry to the San Juan Islands, and other neighboring Islands including Vancouver Island. 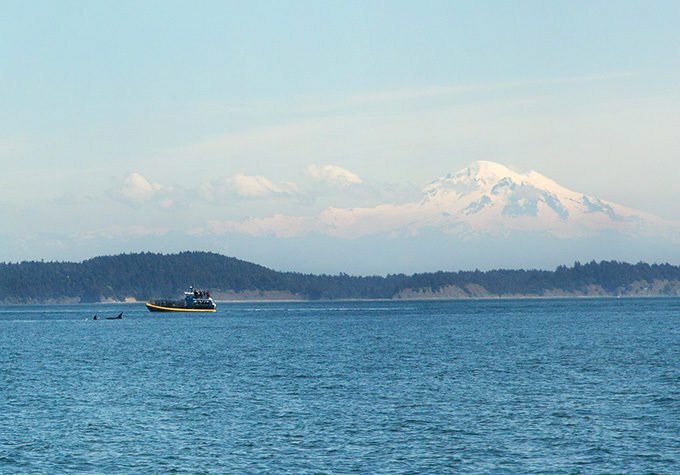 Take a cruise out in Puget Sound and go Whale Watching. We did see Orca’s much closer than this but I didn’t move fast enough to capture them. I love the ever-present Mt. Baker in the background, it almost doesn’t look real. 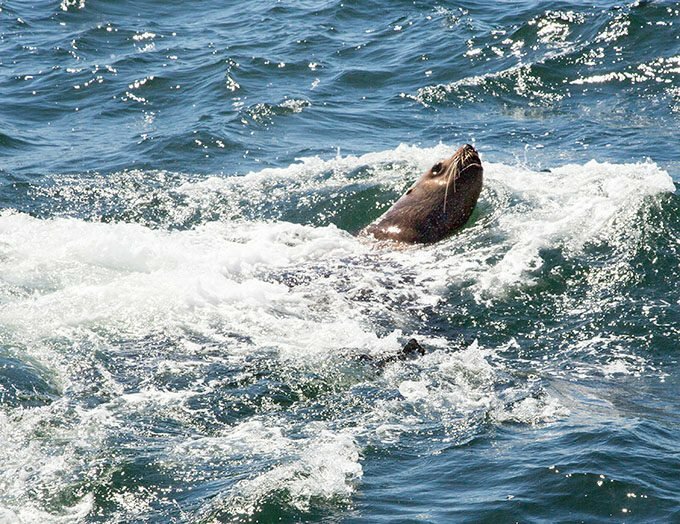 You’ll also get find Sea Lions and Harbor Seals on your cruise having fun in the water. Have a Great Dinner which is really easy to do on Whidbey and Camano Islands. 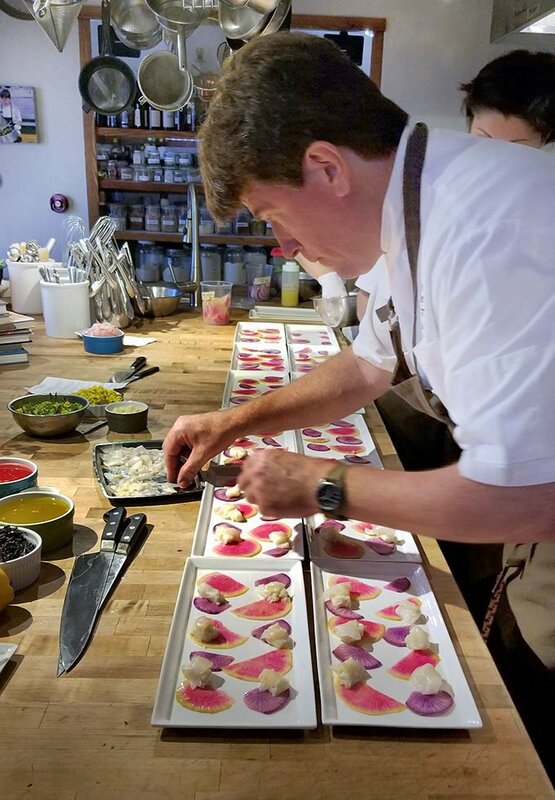 We were fortunate enough to secure reservations at the Orchard Kitchen where Chef/Owner Vincent Nattress created an amazing meal for us to enjoy. 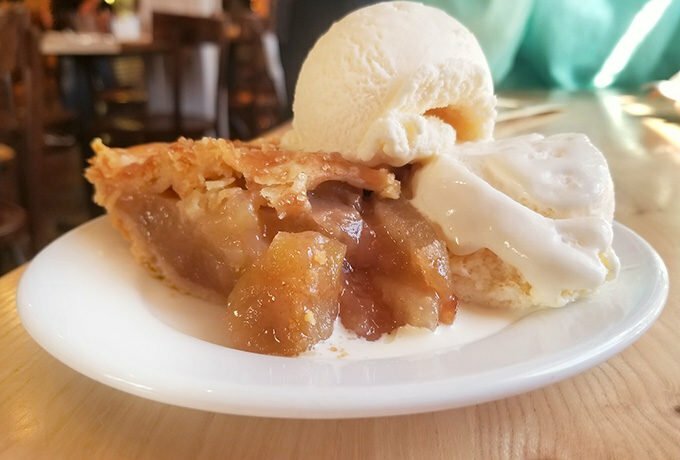 Just make sure to save room for dessert. 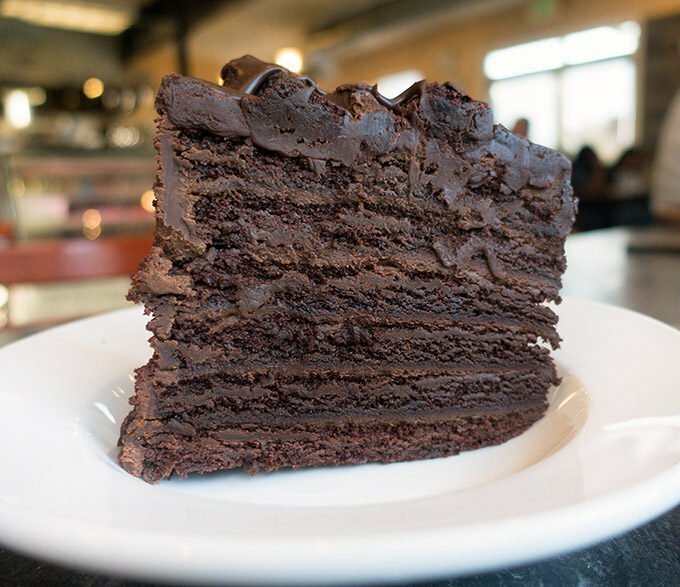 This seven layer Chocolate Cake I devoured at Seabolt’s Smokehouse in Oak Harbor was locally made at a bakery on the island and it was OMG delicious! Click on this link if you’d like to learn more about Whidbey and Camano Islands. So you can start planning your vacation to the Pacific Northwest. 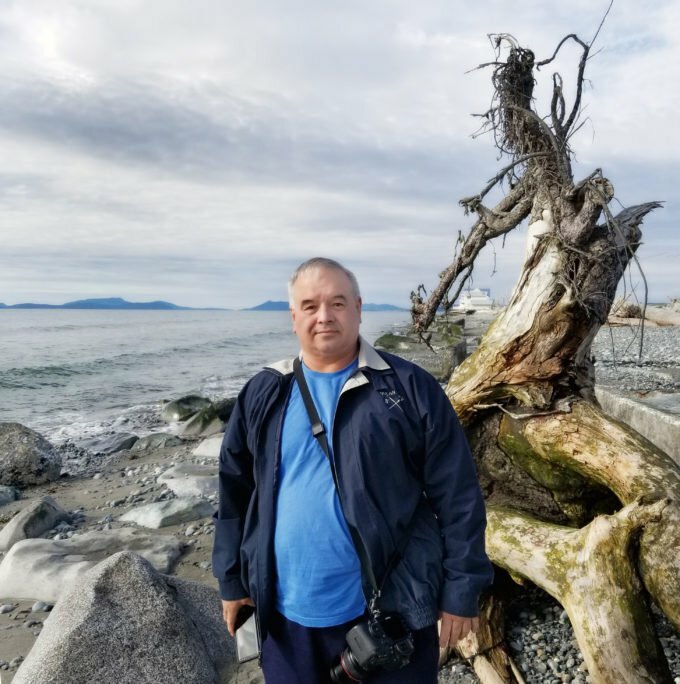 This is an affiliate link and If you are booking a trip to Whidbey Island or anywhere else in the world I would appreciate it if you could use this link. The added income helps me keep traveling and writing about my travels. In a large pot, heat the olive oil. Add the onion and garlic and cook over high heat for about three minutes. Deglaze with wine and reduce buy about a third. Add the chicken stock and tomatoes. Season with salt, pepper, dried oregano and dried basil. Bring to a boil and cook for about 10 minutes. 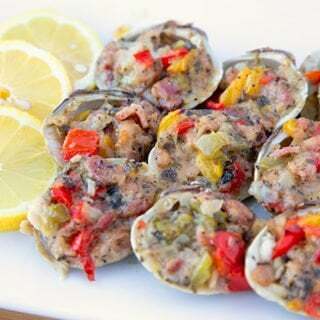 Add your clams and mussels, cover and cook until about half of them have opened (about 5 min). 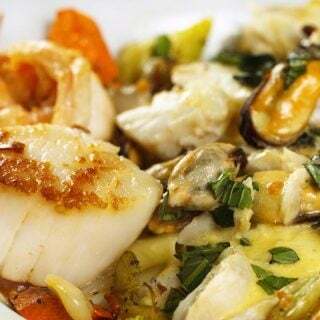 Add all vegetables, the fish, prawns and scallops, stir gently, cover again and cook until all mussels and clams are fully opened (about 5-8 min) add butter and chopped parsley let cook for one more minute and serve. Great article, I love Seattle! Can you believe the snow Seattle got a couple weeks ago?! I’m going to be moving up there in a few weeks and I’m glad I missed that. I’m glad spring is right around the corner. What a fabulous visit. We live in Arizona and have always wanted to plan a long weekend in Washington. Whidbey Island looks like a great family destination and one I know my daughters would enjoy. The seafood looks amazing! What a gorgeous landscape! There’s something about the water that is so relaxing, and just makes you feel like you’re on vacation. Having an amazing meal doesn’t hurt either! Can’t wait to bring the sea home with that yummy stew. This looks like it would be an amazing trip. That stew looks absolutely incredible! What a neat place to visit. We are going to Seattle next summer, and it is nice to have some ideas of places to visit. Looks like an interesting place to check out. The food in these photos looks awesome. This looks like a wonderful place to visit. I had never heard of Whidbey Island before. It looks like an amazing place to visit and enjoy all there they have to offer. That seafood stew looks so tasty – but that seven-layer chocolate cake? I want it now! This looks like a wonderful location for a vacation and all of the food looks amazing! I will be adding Whidbey Island to my listnof places that I want to visit! This place looks gorgeous and the food looks divine. I haven’t had a good seafood stew in too long now. This is definitely a place to check out! You had me at local brews! Looks like so much to see and do on Whidbey Island. Great foods too! Oh my Chef Dennis, this looks like an amazing place to visit! And that seafood stew looks so fresh and delicious. Thank you for sharing Dennis. I’ve always wanted to go to Washington and now you’ve made me want to go even more! The food and scenery look absolutely beautiful! This looks like such a wonderful experience. I can’t wait to give this recipe a try. I know the Mister is going to love it. Oh my gosh I would have such a hard time deciding between those desserts! This all looks so delicious!! This place seems amazing. My whole household would enjoy that seafood stew. My girls would appreciate the dessert and that chocolate cake is calling my name. I have never been to Whidbey Island, but it looks like an amazing place to visit! Thank you for sharing your adventure with us. 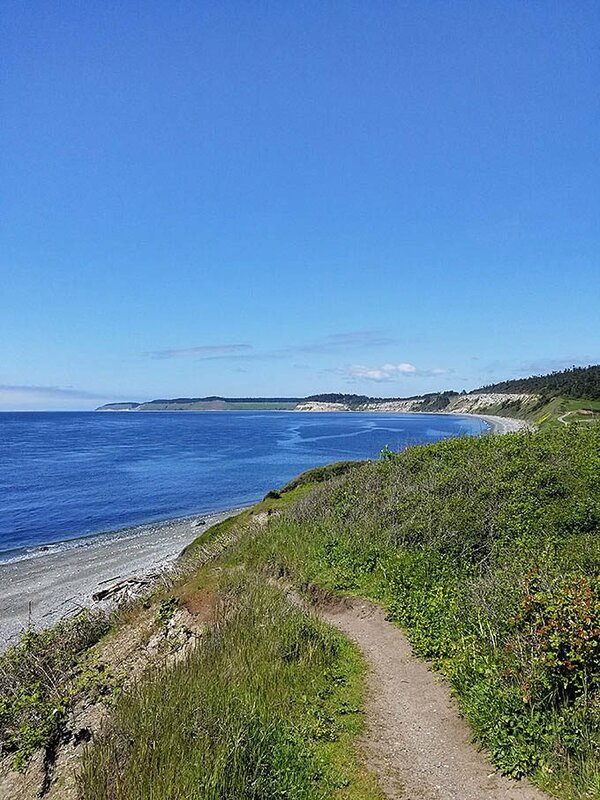 Whidbey Island looks beautiful… as does the food at all the lovely restaurants you ate at on your visit!